Green and maroon leaves with excellent tenderness and flavor. 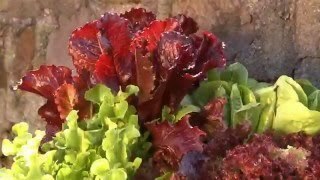 This loose-leaf lettuce has bright green, ruffled leave that are tinged with maroon. Leaves are tender with excellent flavor-pick immediately before a meal for a great salad. Grows best in cool weather but does well in heat and is slow to bolt. Plant it as a spring and fall crop. Likes fertile soil, ample water. Space lettuce plants 8" apart. 500 seeds per packet, will plant about 30' of row. Lettuce, Prizeleaf is rated 5.0 out of 5 by 3. Rated 5 out of 5 by Sweepea from Beautiful and tender lettuce I waited quite a while to plant this... tend to buy more lettuce varieties than I could ever plant in one season. These seeds were 3 years old when I put them in the ground in mid-January. They have been kept in a zip-loc bag in the refrigerator. Today I have a healthy stand of Prizeleaf in my square Foot Garden. They are planted 16 per square foot and about 2-3 times/week I pick the largest one or two leaves from each plant. I was drawn to the "slow to bolt" claim and this will be tested since we have already seen temps in the high 70s (San Francisco Bay area). This is a handsome plant in the ground and sooo tender. Rated 5 out of 5 by houseofsoup from Wonderful cool weather treat This lettuce was a great producer through several light frosts. We had a particularly cold winter in Central Florida. Most of my garden had not made it through some early December frosts, but there was plenty of tasty, Prizeleaf for our Christmas Eve salad. I will be planting more in the fall this year. Rated 5 out of 5 by Randy from True Prize This is the most outstanding lettuce I have ever grown. It is the most vigorous, fastest growing of all I have tested against it. It truly produces in the heat. It gets very hot and humid in Indiana. It is also the best in cool weather. It is very healthy and has a very appealing good look with it's reddish and green leaves. 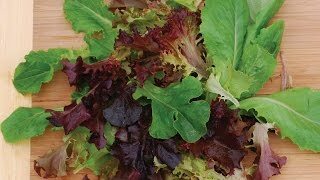 I love growing different lettuces and this one has become number one on my list. I cannot pick out one single weakness for this great lettuce. It is a true Prizeleaf.